1: Will I be Moving Soon? When refinancing, there are some costs that you need to consider such as penalties (below), set up fees, and hidden bank charges. 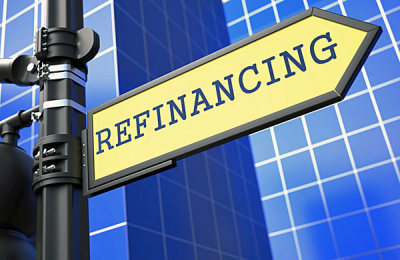 Make sure that you are fully aware of all of these fees before you consider a refinance. If you are still moving forward, try to mirror your mortgage term to your time in that property. If you are planning on moving in 3 years, set your term for 3 years as well. This will avoid the penalty to break it early. Another consideration if you are planning to refinance your mortgage is your overall financial plan. It may be time to adjust your mortgage to align with events in your life. Retiring? Recently received a raise in salary? A new addition arriving soon? Your Advanced Mortgage & Lending Solutions Mortgage Professionals can show you how refinancing your mortgage can help you achieve your financial goals. If you purchased your home with less than 20% down payment, you will be familiar with mortgage loan insurance. In order to refinance your mortgage, you may need to have at least 20% equity in your home. You may think that saving 0.5% on your mortgage is not worth the trouble and cost of a refinance. Did you know that you could save tens of thousands of dollars over the term of your mortgage with a small decrease in your rate? Advanced Mortgage and Lending Solutions can help provide you with all the information you need to decide if refinancing your mortgage is the right thing to do. We have mortgage experts who will offer free advice on how to reach your mortgage and financial goals. Send us a quick note or give us a call at (403) 466-6654. We will help you make cents of your mortgage.